After winning against Nitra, we reduced the loss to the penultimate team only to the one point. 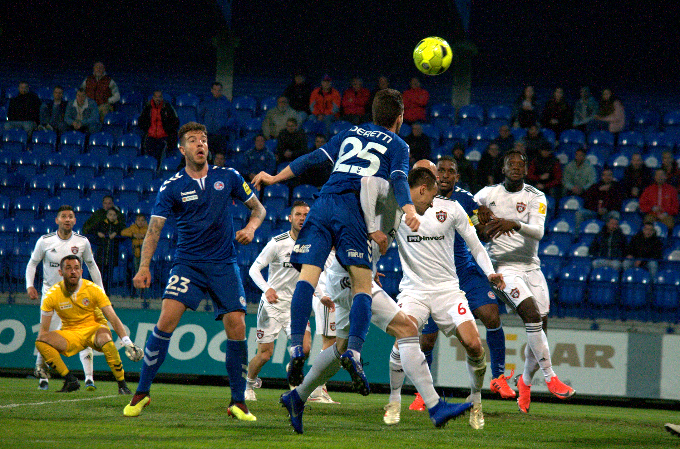 In the match against Nitra we started with a clear ambition - to build on three points earned at Myjava against Trenčín. Already in the 8th minute, a Cape Verde native Kay directed us to our goal. He sent the cross from Mark Tešija to the soccer goal with the exact header. "It was a good match from our side, we controlled it from start to finish. It wasn´t easy, Nitra was active and caused us some problems. We controlled this game better than last week. 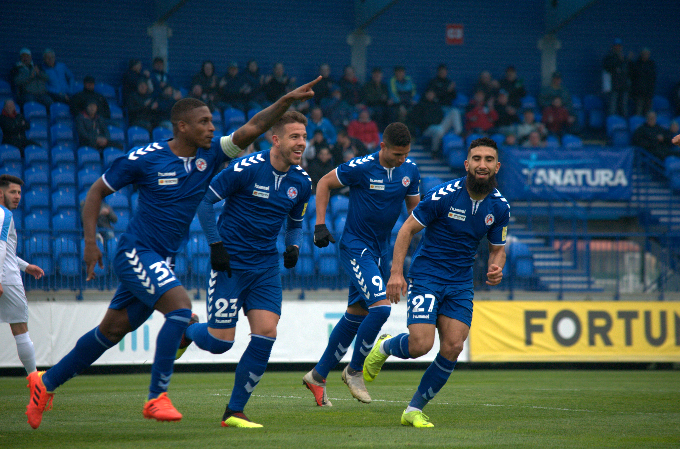 It´s great to score three goals after set pieces, but there is no time to celebrate, we have to focus on Tuesday and try to win the match, so we would like to please every fan who supports us in bad and good times," explained 31-year-old footballer who scored a goal in the second league match. In the 25th minute, we make quick action, at the end of which was Patrick Asmah, a 23-year-old Ghanaian football player - 2:0. 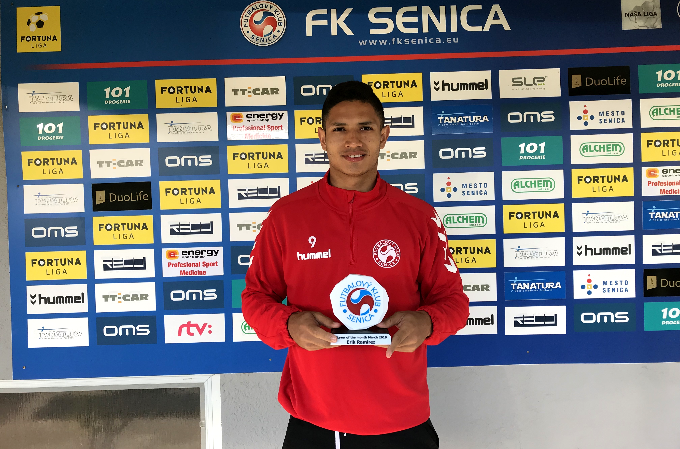 It was the second league goal for a fast-paced footballer, last time he made it in the autumn with a 2:2 draw against Slovan Bratislava. After the change, in the second half we followed the performance from the first half. The corner kick was played by Marko Tesija, who sent another precise center, which was played by the French midfielder Sofian El Moudane. Footballer with Moroccan roots has spiced up his traditionally fighting performance with his first goal in our jersey. "Today we continued to perform from the last games. Together we were attacking and defending, if we play this style, it´s hard to beat us. We´re improving, but we have to stay focused and work hard. Today im proud to the team," said 25-year-old footballer. Frank Castaneda also scored the first spring league goal. Although the Colombian striker threw away the impossible chance after the great ball from Ramirez, he tasted it ten minutes before the end of the match. Marko Tešija sent another great pass, which was a player with number 10 who turned into a goal and closed the match score to a final 4:1. "We knew what style Nitra would play. We tried to challenge her high and shoot some goals from the standard, which we did. Personally, I am happy to be able to score. I hope to add even more goals by the end of the season. 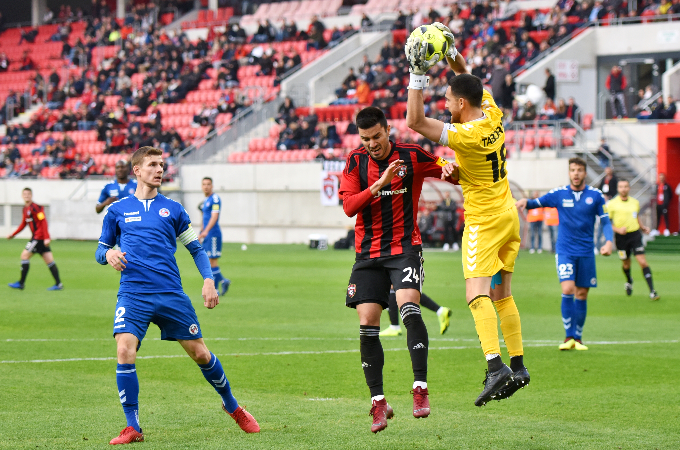 We are currently focusing on the cup match against Trnava," said a 24-year-old, who scored his fourth league goal in the current season. Last time he scored against Ružomberok in the last autumn round.